First enacted by the U.S. Congress in 1975, the Corporate Average Fuel Economy (CAFE) standards are a set of regulations requiring vehicle manufacturers to comply with minimum fuel mileage targets set by the Department of Transportation (DOT). By 2025, cars and light-duty trucks are mandated to achieve 54.5 miles per gallon of gas. In part to meet this target, Ford introduced in 2015 the aluminum-intensive F-150, shaving many hundreds of pounds off the curb-weight of its popular truck line and thereby dramatically increasing its fuel efficiency. True, this is not the first time the industry has produced aluminum-bodied vehicles. In particular a number of European manufacturers—e.g., Audi, BMW, Jaguar, and Mercedes—have for years incorporated aluminum components in their cars. But now the scales have tipped, and American car buyers can expect to see an increasing number of automakers build an increasing number of vehicles with major aluminum components in the body and other areas of the car. Indeed, some 80% of all vehicles rolling off the assembly line today incorporate aluminum parts. What Exactly Is a “Cleanroom”? Patented in 1964, the modern cleanroom (or “clean room”) was invented by American physicist Willis J. Whitfield, whom Time magazine once dubbed “Mr. Clean.” It was he who came up with a method of removing dust and other microscopic contaminants from ambient air. Though first developed for facilities where sensitive electronic and mechanical components were being fabricated, the technology has been applied to high-tech industrial environments, mass production factories, medical research laboratories, hospitals—and even your friendly local auto body shop. 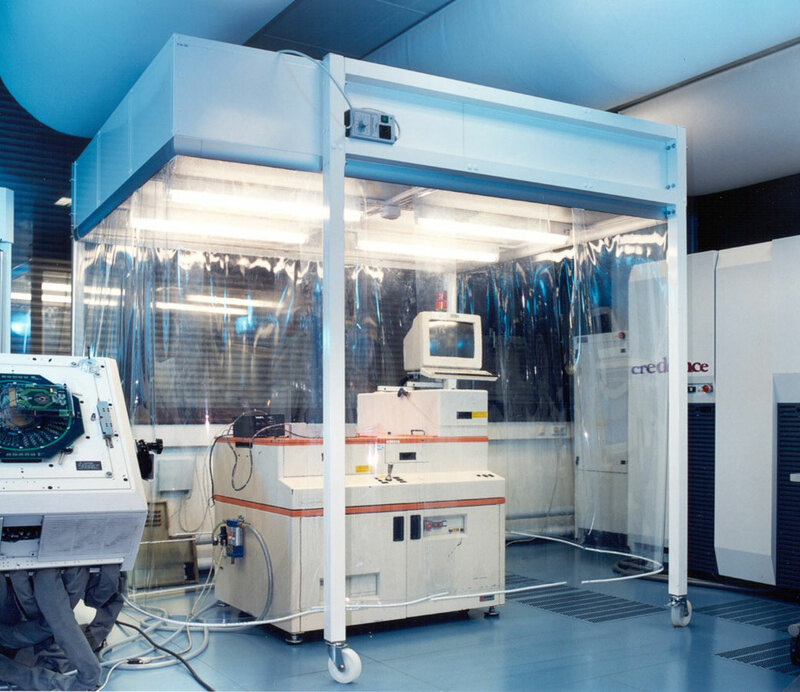 A laminar, unidirectional airflow filtration system designed to extract these airborne impurities from the cleanroom so they don’t accidentally spread to areas outside the room. So you may be wondering: What, pray tell, does this have to do with aluminum car and truck parts? It all comes down to basic chemistry. That doesn’t sound too good; and indeed, it isn’t. 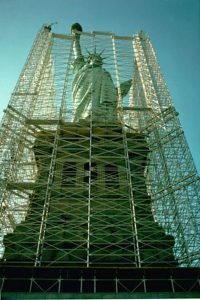 A well-known example of this phenomenon is the iconic Statue of Liberty, before its massive and costly restoration in the 1980s. For decades, poor care of the landmark had brought the negatively charged iron frame holding up the statue in direct contact with its positively charged copper skin. Add an electrolyte (the moist, salty air surrounding it), and the statue was essentially turned into a giant battery. 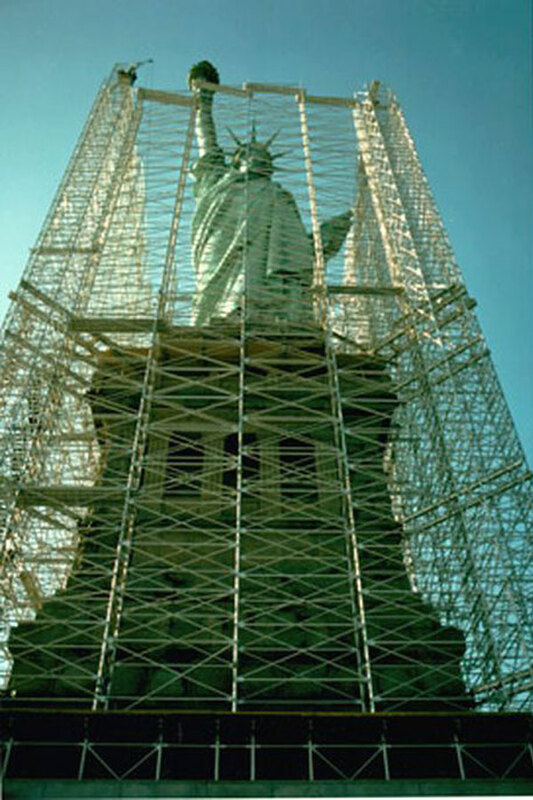 Over time, iron ions from the supporting frame moved to the copper plating, to the extent that some of the structural beams had shrunk to half their original width, weakening the statue overall; and in some sections, the only thing holding the copper plates in place were the layers upon layers of paint and varnish covering them. 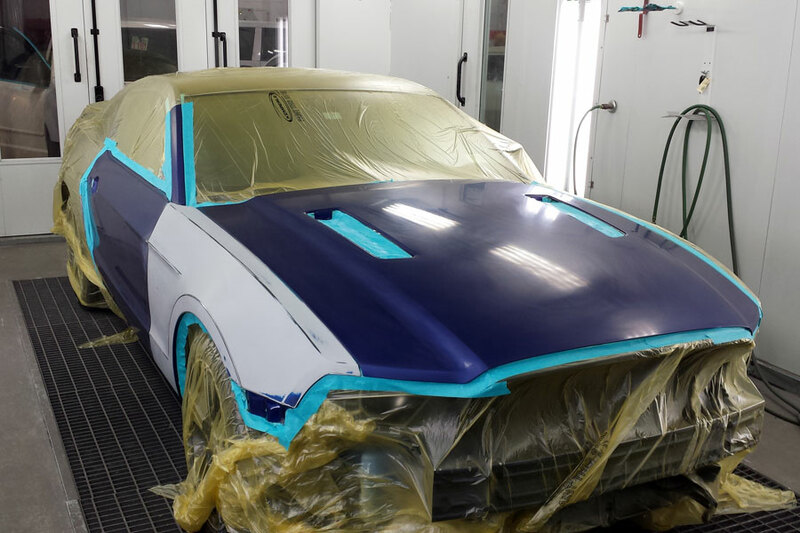 Aluminum contaminants on steel can ruin a paint job. A similar process occurs in cars where a mix of steel and aluminum are involved. Because these metals do not get along chemically, the integrity of the aluminum will be compromised if steel comes in contact with it. Even the smallest steel particle finding its way into an aluminum repair will precipitate galvanic corrosion, weakening the repair over time and threatening ultimate structural failure. At the same time, aluminum dust floating in the air may settle on a steel body part elsewhere, leading to adhesion problems and causing rust spots to bleed through even the most perfectly applied paint job. but aluminum corrodes galvanized steel. For that reason, it is best to perform aluminum-intensive repair work in a dedicated, sectioned-off cleanroom, where technicians can perform all cutting, welding, bonding, riveting, and other structural procedures on aluminum components. It should be fitted with a wet-mix vacuum or some other streamline airflow system designed to gather up and keep aluminum dust away from other work areas. It should also be equipped with a set of drilling, sawing, grinding, sanding, polishing, and other bodywork repair tools that are used exclusively for working on aluminum, to avoid cross-contamination with steel parts and vice versa. Besides the risk of galvanic corrosion, another reason why it is imperative for a body shop to have a cleanroom on site is the risk of a thermite reaction—that is to say, fire and/or explosion. Did you know that all those pretty white and silvery sparkles in July 4th fireworks are made from aluminum? Most people do not think of this metal as flammable—we cook with aluminum utensils, after all. But under the right conditions, it poses exactly that risk. 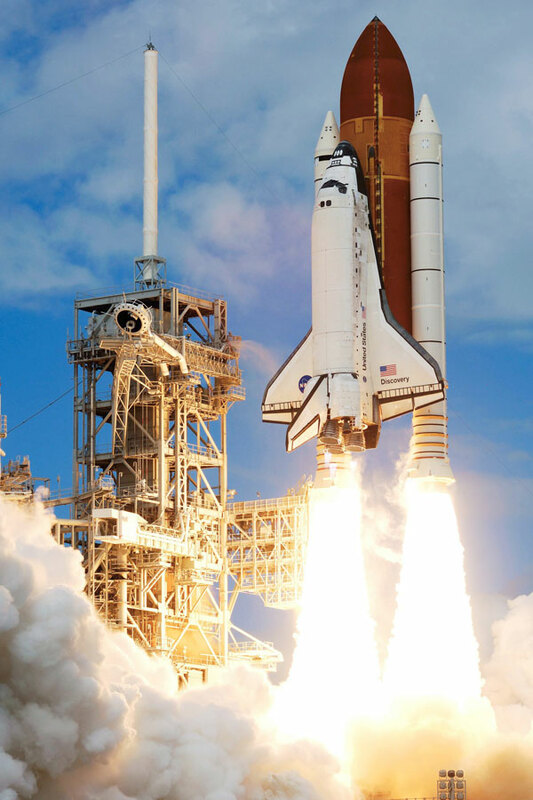 To understand the potential combustive and explosive power of such a common, harmless-seeming element, consider this: the solid fuel in NASA booster rockets is made up of just 16% atomized aluminum powder. 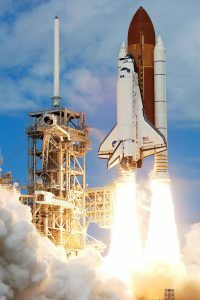 With ammonium perchlorate as the oxidizing agent and iron oxide (better known as “rust”) as the catalyst, this fuel is powerful enough to send a space shuttle into outer space. With all the cutting, grinding, and sanding going on in a typical body shop, the presence of aluminum, iron oxide, and magnesium dust (or “fines”) suspended in the air makes for a perilously incendiary mixture. In sufficient ratios and concentration, it needs only a spark from a cutting torch, static discharge, or some other ignition source to set it off. Once ignited, combustion can extend from one particle to another with astounding speed. The video below illustrates just how quickly and intensely such a mixture can burn. This video alone should compel anyone looking for a professional, properly equipped auto body shop to ask if they have a separate, quarantined cleanroom on the premises. If you ask Keri Coach Works, the answer of course would be a resounding YES!